TELUS SharePlus plans are set to increase by $5 per month for the unlimited nationwide talk and text portions, starting on January 20. 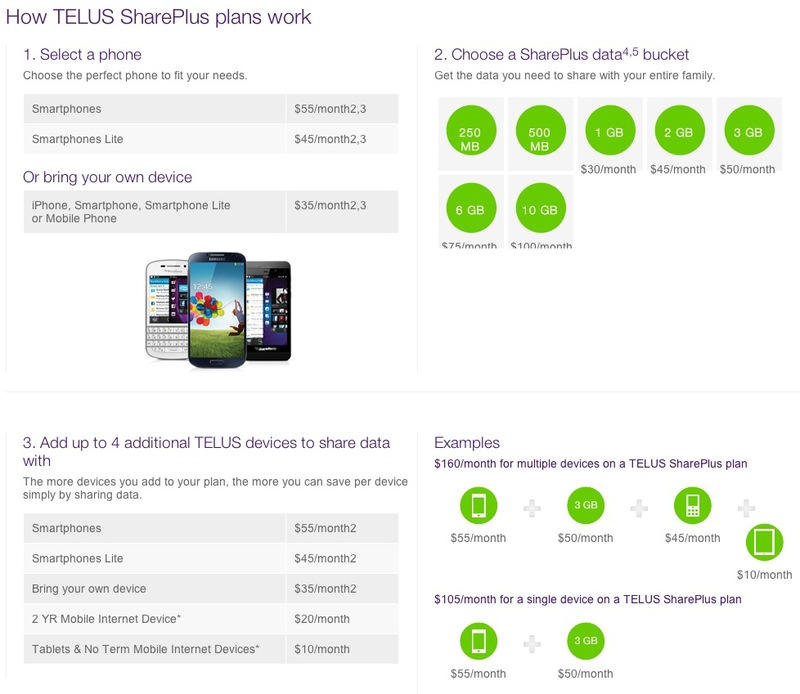 TELUS launched their two-year SharePlus plans back on July 30, which offers customers to choose a voice plan and data plan which allows shareable data to other devices. The move to two-year plans was in part a response to the CRTC Wireless Code of Conduct. When it comes to wireless pricing in Canada, the Big 3 like to do the tango in unison, so one would expect similar pricing to come from Rogers and Bell. Just a couple days ago Fido modified their price plans, which saw price adjustments and also a decrease of data and minutes for Smart Plans.